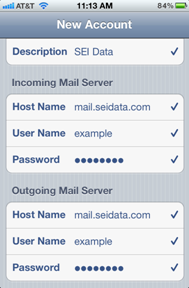 4) Scroll down and select "Other". 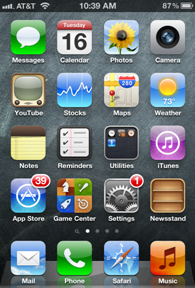 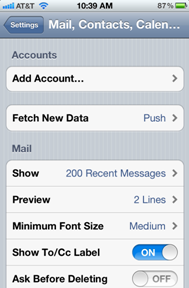 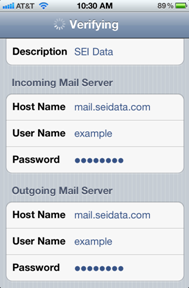 5) Touch "Add Mail Account". 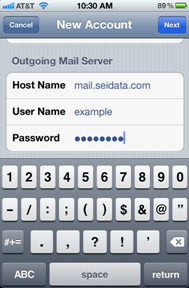 6) Enter appropriate name, e-mail address, password, and a description. 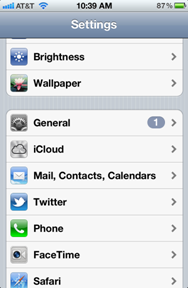 7) Touch "Next" when finished. 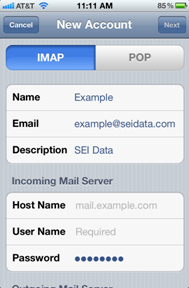 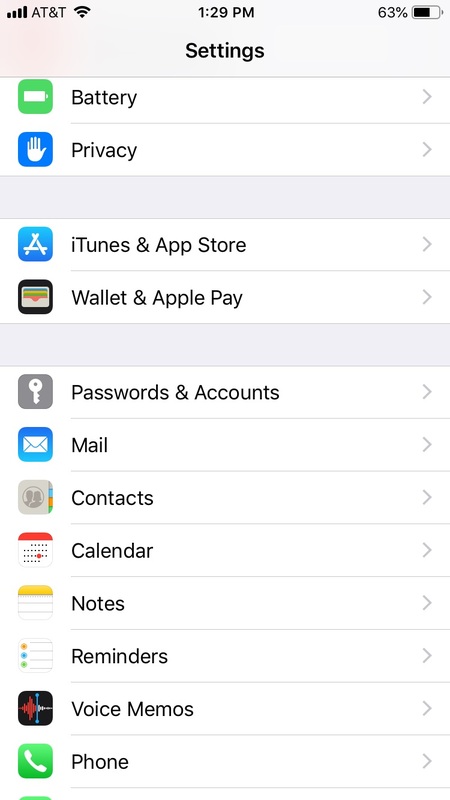 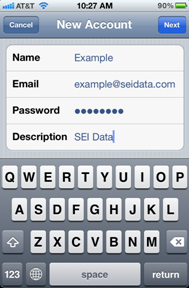 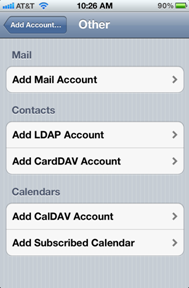 8) The iPhone will default to IMAP, but either IMAP or POP may be used..
9) Touch Host Name and enter mail.seidata.com, then enter your user name and corresponding password, then press the Next button. 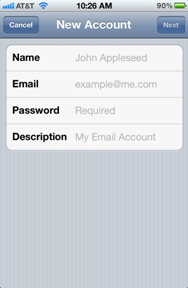 10) The iPhone will then verify the account settings. 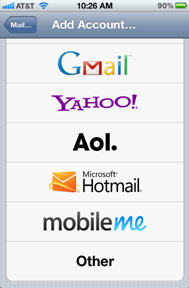 11) Once verified, you will briefly see this and then move to the next screen. 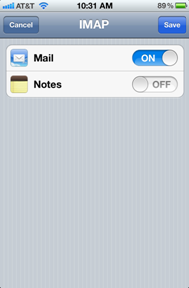 14) Verify that you can send and receive email.